Let’s look at PA systems—where the amount of myth-making can be pretty substantial. A 3-way speaker is always better than a 2-way speaker. Not necessarily, and this applies to studio monitors and hi-fi speakers as well as PA systems. A well-designed 2-way speaker, with separate low- and high-frequency drivers, can often provide a more balanced sound. A 3-way system requires two crossovers, which can introduce more errors than the single crossover used in 2-way systems. 2-way systems have only two sources where sound emanates, whereas a 3-way system has three points that all need to be co-ordinated. Of course there are good 3-way systems and not-so-good 2-way systems, but the quality depends on many factors other than the number of speakers. Analog is better than digital. For guitar amps, analog can give certain desirable colorations due to the way the technology distorts. 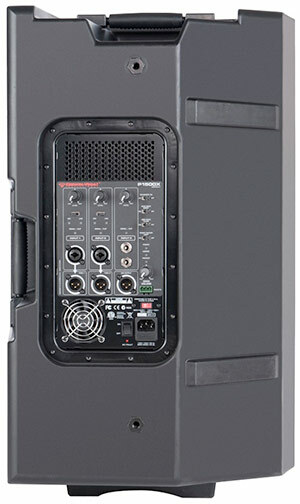 But the point of a PA system is clean, distortion-free sound with high levels of power; for that, digital excels. What’s more, digital Class-D amplifiers are smaller, lighter, more reliable, generate less heat, and result in more power in a more portable package than typical analog amplifiers. You can judge a system’s power by its specification in watts. I hate to be the bearer of bad news, but most wattage specs are meaningless because they rarely state the testing protocol, the efficiency of the speakers, and the amount of distortion that’s considered acceptable (for example, an amp could be rated at 150 watts with 1% distortion but at 200W with 10% distortion). Without knowing this kind of information, you’ll never be able to compare apples to apples—it would be like measuring gas mileage for one car speeding down a highway, and another coasting downhill in neutral. Output also depends on speaker efficiency, not just wattage. If the speakers aren’t efficient, the power just becomes heat and produces no sonic benefit anyway. Bottom line: Good luck comparing PA system specs. Your best option is to ignore the numbers, and put different systems through their paces in a performance situation—you’ll find out real fast which ones deliver and which ones don’t. How well a system covers a venue depends on its power rating. This is partially true, but an equally important spec is dispersion (given in degrees). Some speakers project sound over a narrow “sweet spot,” but the volume drops off rapidly away from that sweet spot. Speakers with wide dispersion spread sound more evenly throughout a room, which gives greater coverage for a given amount of power. Cerwin-Vega’s P1500X (shown from the back) provides useful specs: 540 continuous watts, 1500 dynamic watts, two-way speaker system, Class-D amplification, and 90 degree dispersion horizontal/65 degree vertical before the sound level drops by 6dB. PA systems make lousy guitar amps—so for solo acts, you need a PA and a guitar amp. This isn’t a total myth, because there are some guitar amps with “signature” sounds that are difficult to duplicate digitally. However, a good multieffects with convincing amp and cab simulation makes a great complement to a PA system—where the multieffects provides the tone, and the PA provides the power and clean amplification. In fact, a system like the P1500X that includes a three-input mixer is ideal for solo artists: plug your guitar with multieffects into one input, mic into another, and backing tracks or another instrument into the third input. So there are the five myths. If nothing else, you now know how to make salespeople nervous: when they tell you a PA speaker has a certain number of watts, ask “With what percentage of distortion?” If they start sweating . . . now you know why.